According to minutes of past Annual General Meetings, the 91st AGM will be held this year, Boland Golf must have been founded in 1922, as a constituted body to run the affairs of amateur golf in the Boland. They subsequently became a Sub Union of Western Province Golf Union. 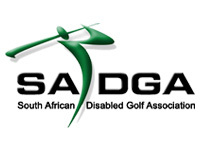 In 1996 the Boland Golf Union gained direct representation on the South African Golf Assocition and Namaqualand than became a Sub Union of the BGU. The BGU currently represents 42 affiliated clubs and some 11,000 registered golfers in the area known as the Boland, which streches from Lutzville on the West Coast to Bredasdorp on the South Coast and inland as far as Laingsburg in the Karoo. Namaqualand represents 4 clubs, which are affiliated to BGU via the Namaqualand Golf Sub Union. Total membership of the 4 clubs are about 350.